Recently we have been working on the biggest robot project that I have worked on till now, with my friend Jim Quode. It is a scrap bot at the basic, all the parts, including the gearmotor are homemade. 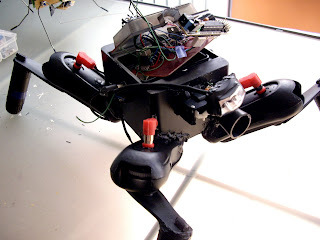 It is controlled with an arduino microprocessor. This video is for testing its basic movement ability and interaction with the environment with a simple AI. Quadropod AI Test from MrBeaver on Vimeo. I am currently working on a solar walker using a bicore. 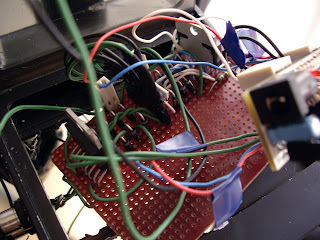 Which is a hard task tho, I have managed to set up the basic circuit running with a solar engine. It is not finished yet. Once it is finished I will post more photos and video.